Release of the NEU! album "86", which Klaus Dinger and Michael Rother originally recorded in 1985 / 86. 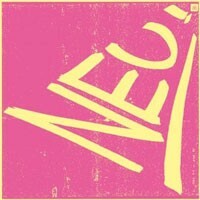 'I'm thrilled about the release of the album NEU! '86 which Klaus Dinger and I originally recorded in 1985/86, but left unfinished back then and which led to some unfortunate problems between Klaus and myself in the 90s. I now completely reworked the album from original multitrack and master tapes, and unearthed a few yet unknown tracks which are essential for a full understanding of what Klaus and I focussed on for NEU! in the mid 80s. It was my aim to present Klaus Dinger´s musical strengths and visions just as much as my own ideas. The best musical result was to be my only guideline, not the ego. All during the emotional process of reworking our album Klaus was on my mind and I contemplated what he would think about my decisions. I was very relieved and moved to hear from his heir, Miki Yui, who contributed many valuable ideas to the making of the box set, that she was pleased with the result I presented with the album NEU! '86'. - Michael Rother.